Some of the most exciting finds in a baseball collection include those of players who were once an afterthought and suddenly burst onto the scene in a big way. This year Baltimore Orioles first baseman Chris Davis, also known as ‘Crush’, has done just that. Davis appears to be a classic case of needing a change of scenery in order to get his career pointed in the right direction. 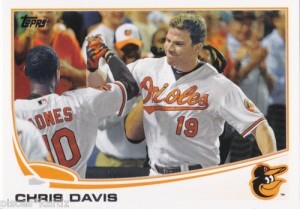 After hitting a total of 6 home runs over the 2010 and 2011 seasons combined, Davis has swatted 51 long balls for the Orioles this year alone – and the season is not over. He has already passed Brady Anderson as Baltimore’s all-time single-season home run king, and he has almost single-handedly kept the Orioles alive in the playoff race. With very little offense to speak of around him, Davis’ OPS of over 1.000 is up in Miguel Cabrera territory. Chris Davis coming on later in his career is a surprise because he was developed in the Texas system – and a ballpark that is very friendly to left-handed hitters. In fact, Texas was willing to part with prospect Justin Smoak in part because of what they thought they had in Davis. That didn’t work out, and he was shipped off to Baltimore in 2011. Two impressive seasons later, and Davis is one of the best sluggers in the game. Any time a player changes teams and then starts to perform, the question in the collecting world is which items to go after. Should you pursue rookie year Texas memorabilia, or more current Baltimore pieces now that he is playing at an All-Star level? While there is no one right answer, it is always good to go after rookie cards, regardless of the team. However, with Davis setting Baltimore’s season home run mark this year, 2013 collectibles would also be a wise investment. The question, of course, regarding Davis’ performance, is whether or not he can keep it going for many years to come. He is only 27 years old, so he could certainly have many more productive years before starting to decline due to age. Taking a closer look at his numbers, however, presents some cause for concern. So far in 2013, he has struck out a whopping 190 times, while walking just 68. That is a similar ratio to the 2012 season, during which he only posted 37 walks against 169 strikeouts. Those rates are hard to continue while being a productive hitter, even for someone with as much power as Davis possesses. If pitchers are able to make slight adjustments to take advantage of his aggressive nature, his .372 OBP could start to regress and he could settle in as a typical power hitter as opposed to an All-Star. Only time will tell, but he is certainly an interesting player to watch going forward. For the Orioles of 2013, they need an impressive finish from Davis to scramble into the playoffs. If Baltimore falls short, they will likely be able to blame the failures of the rest of the lineup as the culprit. Look for more upgrades around Davis for 2014 if Baltimore is going to take the step up from contender to division champion. It’s no secret that the Pittsburgh Pirates have been at the bottom of the National League barrel for more than twenty years. Not since the ‘We Are Family’ Pirates of the late ’70’s has the Pittsburgh baseball team been relevant on a national level. Despite opening a new stadium in recent years, fan interest had remained low and the wins were slow to come. Of course, that has all started to change. Last season, the Pirates looked poised to finish over .500 for the first time in twenty years and possibly even qualify for the playoffs. That season ended in bitter disappointment as the team limped to the finish line and fell short of that magical 81 win total. 2013, however, has been different. The Pirates are going to finish well over .500, and they are going to qualify for the playoffs as well. The only drama remaining is whether the team will be able to pass the St. Louis Cardinals and win the National League Central title, or if they will have to settle for one of the two available Wild Card slots. The fans have returned, and things are looking up in the Steel City. When thinking about collectibles and the Pirates, you can look to both current and former players as great pieces to invest in. For the modern-day Pirates, two players stand out above the rest in deserving your collectible attention – Andrew McCutchen and Gerrit Cole. 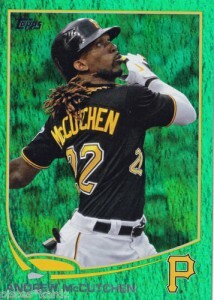 McCutchen is certainly the face of these Pirates as a quick-to-smile center fielder with impressive power and speed to burn. McCutchen is a game-changer and seems like a sure bet to be an All-Star for another decade to come. Cole is a power right-hander who has made a splash in his first season in the bigs. Gerrit Cole rookie cards are likely to be a hot commodity as he heads toward becoming one of the best pitchers in the league. As with all things collectible, looking to the past is a wise idea when selecting items to purchase. The current revival of the Pirates is a great opportunity to look at the last great Pirates teams for cards and other items to pick up and add to your collection. The two main features in the lineup of the 1979 World Championship team were Dave Parker and Willie Stargell. Cards from both of those legendary players are always a welcome addition to any collection, even for non-Pirates fans. On the mound, Bert Blyleven is the most notable name from that team and is also worthy of your time in tracking down collectibles. Only time will tell what the 2013 Postseason has in store for the Pirates. Perhaps they will shock the baseball world and win their first title in 34 years – or maybe they will fall in the Wild Card game to the Reds. Either way, 2013 will be remembered as the year that Pittsburgh baseball got back on the map and made an impression on a national level. With rising starts like McCutchen and Cole, along with a great supporting cast, it seems that the Pirates are going to be a force for many years to come. We all know that baseball cards have the potential to be a nice long-term investment if the player reaches their full potential and you happen to own some of the harder-to-find cards in your collection. Knowing that you are in possession of a collection that gains in value a little bit each day is a nice feeling. However, there are many ways to invest money, so that isn’t the only thing that calls us to back to baseball cards time and again. Along with the financial aspect is the possibility of finding great cards that bring up fun memories, introduce you to new players, complete a set, and more. If you are a long-time baseball card collector you have probably had your share of memorable finds over the years. In fact, as you read through our list of the most exciting baseball cards to find, try to think back to when you experienced these exact situations and just how exciting it was. No matter if you are trying to complete a small set of 10 or 20 special issue cards, or a full 700+ card set from Topps or another card maker, getting that final card that brings it all together is a great feeling. There is something about the finality of having a full set of cards that is satisfying and makes for a great display as part of your overall collection. When you are searching for just one or two more cards to finish off a set, that quest can be exhaustive and lead you to places you never considered – so when it is all said and done, the accomplishment is worth at least a moment of celebration. We all have our favorite players. Sometimes they are among the best players in the game, and other times they just happen to play for our favorite team and have a personality that we appreciate. No matter how you came to pick your favorite player, finding their card in a freshly opened pack is an exciting moment. You probably have countless different cards of the player already, but there is always room for one more. This one is exciting because the card is usually valuable, and you will know that you are in possession of something that very few other people own. 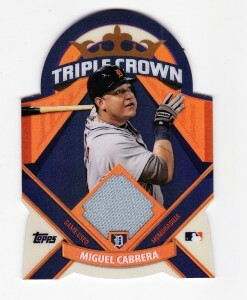 Most card makers have special series within their sets that are hard to find and valued above the standard card sets. 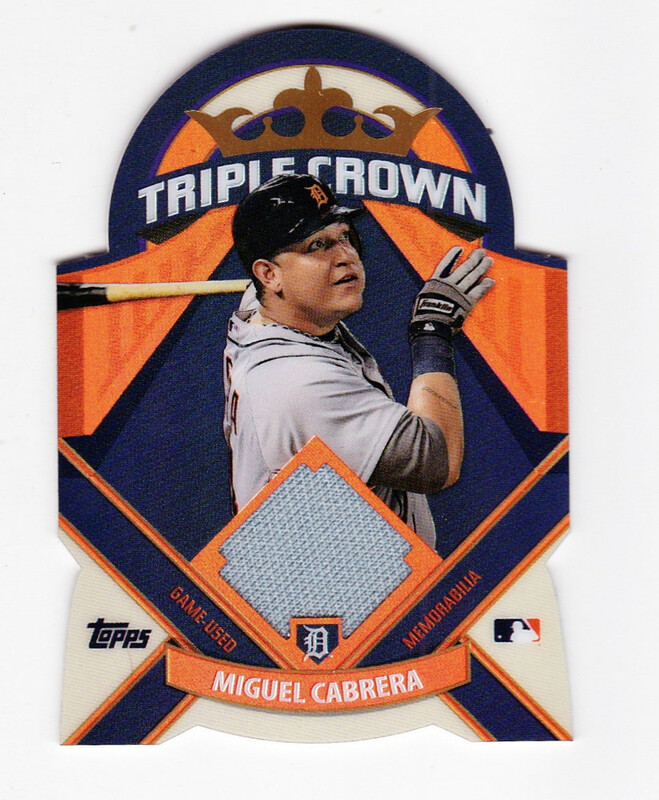 If you are lucky enough to land one of these cards within a pack that you have purchased, it will quickly become a prized part of your collection. If you go to a trade show or find an old pack of cards to purchase online, you might find the card of a player whose name you haven’t thought of in years. Maybe they used to be a favorite player of yours and have fallen off the radar. Maybe they played for a rival and you couldn’t stand them. Whatever the case, baseball cards can bring surprisingly strong emotions to the surface when they are first opened – and that is one of the things that we all love so much. 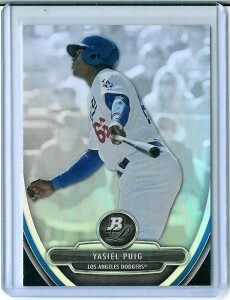 It is no secret that rookie card are among the most valuable collectibles in the baseball market. If you are able to secure a nice collection of rookie baseball cards from players who go on to be big stars, you can see that collection accumulate nicely in value over the years. The trick, of course, is identifying those rookies before they get famous and their cards become too expensive to bother investing in. You need to pay close attention all around the league and spot players with the tools and opportunity to make a big impact in the game. While guys like Mike Trout and Bryce Harper don’t come along very often, there are usually one or two rookies a year that will go on to have great careers. Consider all of the following four players who are rookies in 2013 for your collections. Not all of them will go on to the Hall of Fame, but these players a good bet to have long and successful major league careers. Unless you have been living under a rock, you have certainly seen the exploits of this Dodger outfielder on a regular basis this summer. Driving the resurgence of the Dodgers, Puig has been hitting for average and power, playing great defense, and exciting the crowd. He has since cooled off after an incredible start, but is still playing at an All-Star level. If he is able to learn some plate discipline and make pitchers throw him strikes going forward, Puig could be a force for a long time to come. Many in baseball thought that the Royals made a mistake when giving up the young Wil Myers for James Shields last off season – and it is sure looking that way right now. Myers is killing the ball in Tampa Bay and has held them in the A.L. East race despite the struggles of Evan Longoria. With easy power and impressive plate discipline for such a young player, it is hard to imagine much that could go wrong with his game. The fire balling rooking right hander for the Braves has really come on of late, amassing more than 120 strikeouts in just 22 starts. While the Braves continue to run away with the N.L. East, Teheran has steadied the rotation after the freak injury to veteran Tim Hudson. If Atlanta is to make their way into the Fall Classic this October, it is likely that Teheran will be a big part of the equation. Young catchers don’t tend to draw a lot of attention (unless they are named Joe Mauer). However, Gomes is starting to turn some heads by hitting over .300 in his rookie season. Gomes is 26 already, limiting his future to some degree, but if he keeps hitting like he has there is little in the way of an excellent career. Catcher is a position that is hard to fill with talented offensive players, so Jon Gomes will be a player to watch in the coming seasons.